The Army of the Lost is the third book in the Mall Rats series, and marks a departure from the usual setting of the books. I’m a big fan of the series, but the elements that make these books so much fun for me were party missing from this one. 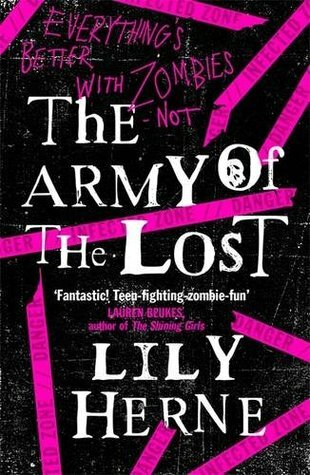 As they left Cape Town in the last book, the Mall Rats find themselves near Johannesburg in The Army of the Lost. Although there are no Resurrectionists here, and the people are relatively safe from zombies, the living conditions are terrible, and they have returned to slavery. The Mall Rats are split up, and each of them have to fight their own battles. It’s easy for me to pin-point exactly where this book went wrong for me. Instead of the usual banter and family-like feeling we have in Deadlands and Death of a Saint, all of the main characters are separated in The Army of the Lost. Instead, a dozen new characters are introduced, and two new points of view is added to the narrative. Death of a Saint ended on quite the cliffhanger, and all I wanted was to dive into this one – and then it felt like I encountered the fictional equivalent of a brick wall. Instead of the fast-paced beginning I was expecting, I got all these different points of few, and tons of exposition because all the characters are in new environments. I honestly couldn’t care for the inhabitants of Sandtown. Their plight is probably the worst so far, but I wasn’t interested, and all I wanted was to get the group back together and send them to Cape Town. It took me months to get through the first part of the book. The only reason I’m still giving The Army of the Lost three stars is because the speed did pick up around halfway. It looks like we’re finally getting some answers (something that doesn’t happen often in zombie books). I’m starting to see the bigger picture, and understand now that this small detour book does have a purpose. I’m sad that this book wasn’t what I was expecting, but I’m still invested in the fate of most of our characters (though one of them is annoying me to death). 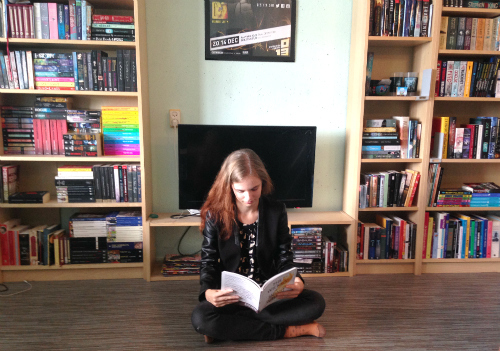 The fourth book is scheduled to come out in a few months, and I’ll try to get my little hands on that one as well. One of us is dead, one of us is broken, one of us will betray the others and one of us will have to sell her soul to survive . . .
Eleven years after South Africa was ravaged by the walking dead, most of Johannesburg’s survivors are forced to scratch out a living in the filth of Sandtown, an enclave in the old Sandton City mall, ruled over by a minority of rich, self-serving bureaucrats. Tommy, a bullied fourteen-year-old Sandtownite, dreams of joining the Army of the Left, a radical organisation intent on setting the city free of the dead that lurch around its walls. But fate has other plans for him . . .